Blue Rose Epics | Entertainment: Visit the Double RR Diner in Los Angeles for One Week! 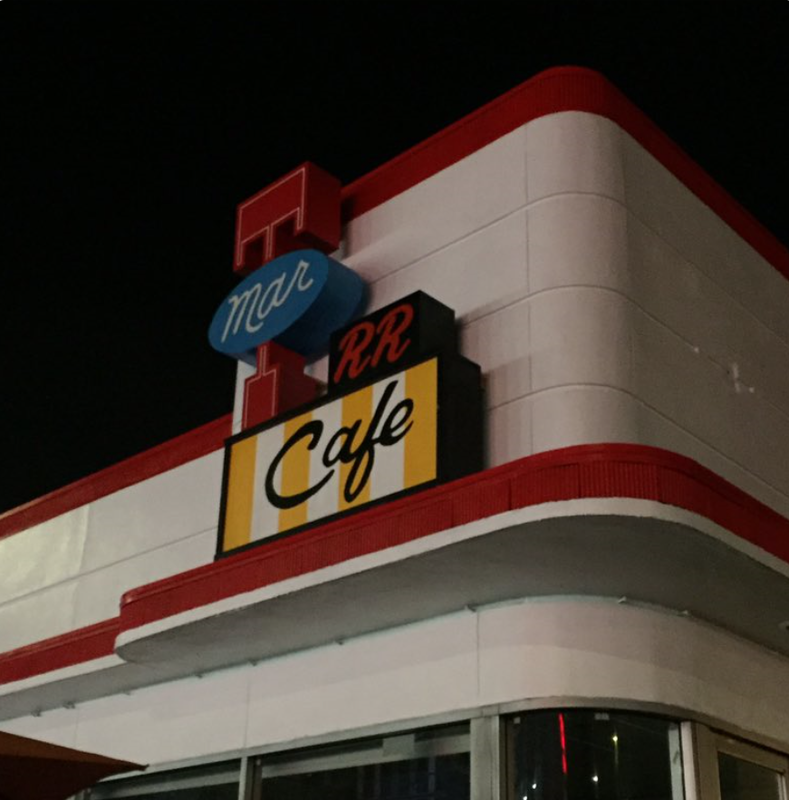 Visit the Double RR Diner in Los Angeles for One Week! Lynchites in the Los Angeles area are doubly lucky this week, as a slice of David Lynch heaven lands down just after his Festival of Disruption ends this weekend. You will be able to get your next Lynch fix at Norma's exquisite Double RR Diner, which thanks to a swirling portal connecting Twin Peaks to Melrose will be temporarily available from October 16-22, 2017. Read below for full details! 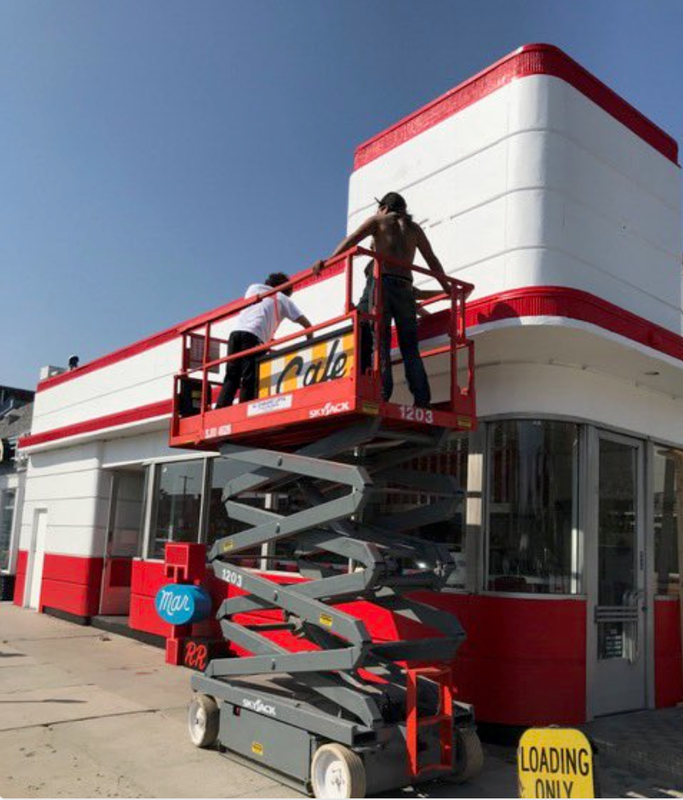 Ok, it is a pop-up diner façade being built over a pre-existing Johnny Rockets location and it will only stand like that for a limited time, unfortunately. This is similar in concept to the Breaking Bad pop-up bars and restaurants, which popped up temporarily in a few locations across the U.S. in temporary locations emulating the appearance of the mobile meth lab RV or the fictional fried chicken restaurant Los Pollos Hermanos. 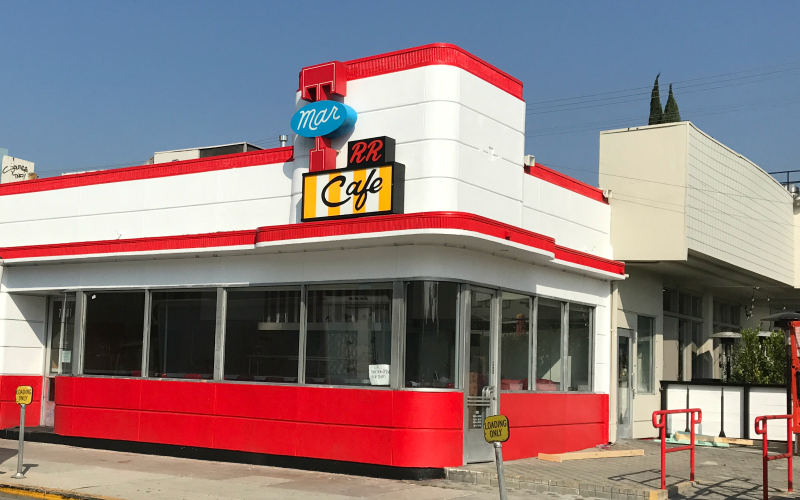 It is a hilarious and fun concept and this mock-up Double RR Diner will be filled with Twin Peaks merchandise, including collectibles, David Lynch's signature coffee brand, and authentic props and wardrobe items. They will carry authorized cosplay costumes, outfits, and accessories ranging in price from as low as $10 to as high as $350 for full, deluxe costumes. This temporary shop will likely provide you with a number of fun photo opportunities and touristy keepsakes to keep even the most demanding Twin Peaks fan happy. From what I hear, their costume array will emphasize the characters introduced in the third season of Twin Peaks, in the The Return itself. This would include characters such as Dougie and Candie. Whatever the case, it sounds like a perfect place to visit if you can and a good way to prepare for Halloween! 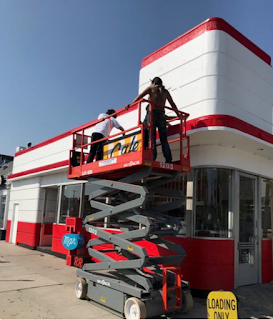 I regret to inform you that the Twin Peaks Double RR Diner will only be up for one week in Los Angeles, though. And the proprietors of this establishment have not announced any plans to visit any other cities with this fun concept yet. But this fun little pop-up Double RR Diner will be open from this Monday to Sunday, October 16-22, 2017, and its hours of operation will be from 12pm (Noon) to 8pm PST. You will find it at the following address: 7505 Melrose Avenue, Los Angeles, California 90046 Enjoy!